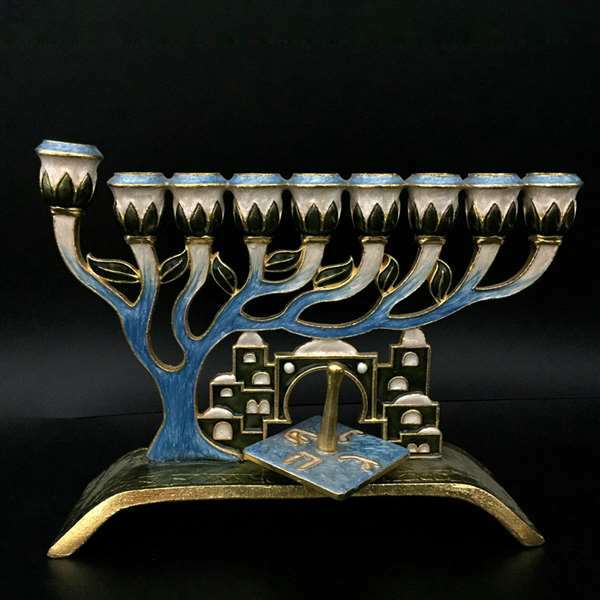 Enameled metal menorah with jeweled accents. Gift boxed. 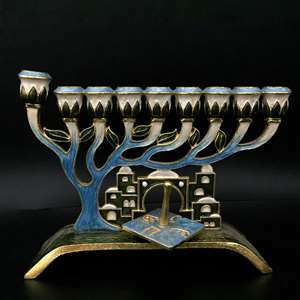 Jerusalem and tree motif.